A friend called us recently, raving about a local butcher shop. She’d never been to one before and she spoke with all the gushy enthusiasm of the newly converted. “They have all the meat,” she said. “And they’ll do whatever you want to it—he spatchcocked my turkey!” And, to think, she could have had it ground, sliced, cubed, tenderized, or transformed into a turducken. Her enthusiasm is understandable. Since the 1960s, most supermarkets have been getting boxed meat from national processing plants. It’s inexpensive and it’s convenient—we can roll by the meat case, grab what we want, and carry on. But it only takes a trip to a local butcher shop to realize we give up a lot for cheap, convenient meat. Butchers will cut to order, they’ll talk you through recipes, and, most importantly, they’ll generally sell you higher quality meat. And going to the butcher shop is the kind of experience, like going to a bakery or farmers market, that a lot of us crave—maybe we don’t want to see the meat being processed, but we’re pretty happy to meet the butcher. 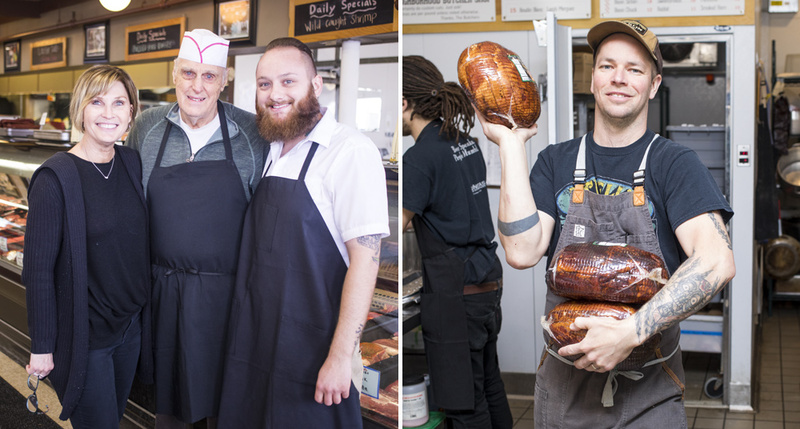 On Hennepin Avenue in Minneapolis, Lowry Hill Meats is a clean, well-lighted place for meat. Its front windows run almost floor to ceiling and even on a snowy February morning the natural light pours in, bounces off the white tile, and fills the space. 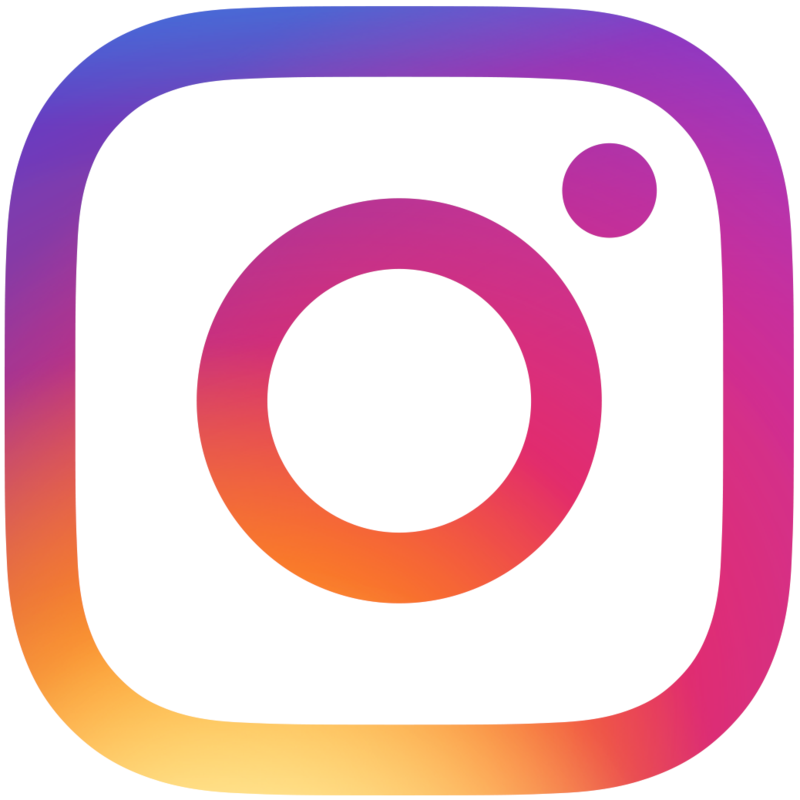 Erik Sather, co-owner and butcher, stands in the open kitchen, deftly juggling a steak au poivre he’s peppering for an Instagram post, wrapping meat, and putting up breakfast orders. 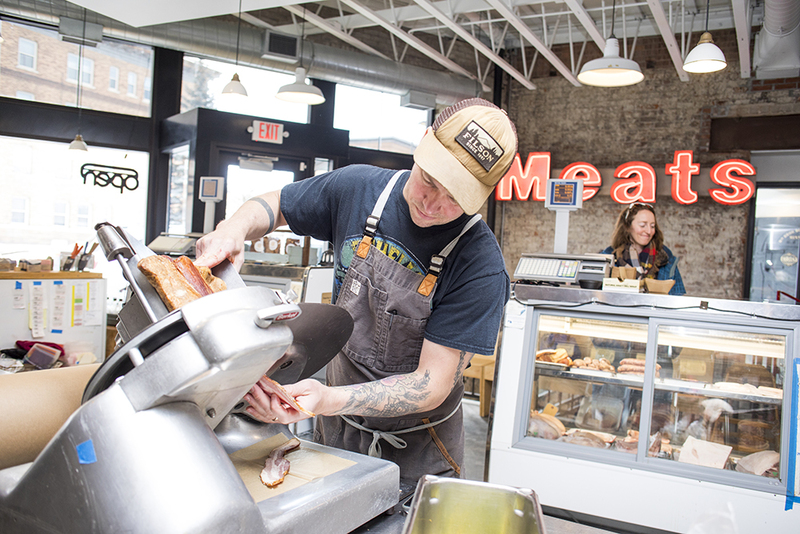 All of the shop’s meat comes from Minnesota farms, including poultry from Wild Acres, beef from Blooming Prairie, and Berkshire pork from Harmony Neighbors. 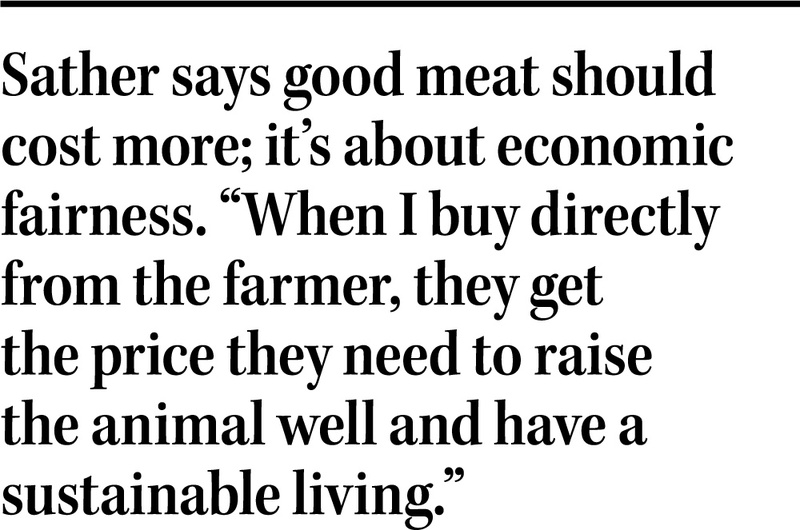 During our conversation, Sather brought up, again and again, the fact that he talks to the farmers every week, stressing how well he knows their farming practices and their meat. The animals he’s sourcing are 100-percent pasture-raised. They’re fed a mix of grass and locally grown, almost all non-GMO feed, and they’re never given hormones or antibiotics. The meat comes to the store fresh—not vacuum-packed or frozen—and, in some cases, within days of processing. That thoughtful approach means the meat costs more. For example, Lowry Hill’s housemade ground beef costs $9 a pound. 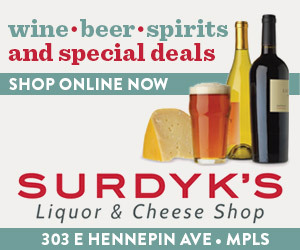 At Lunds & Byerlys, you can get nationally sourced ground beef for anywhere from $5 for a house brand to $11 for grass-fed. 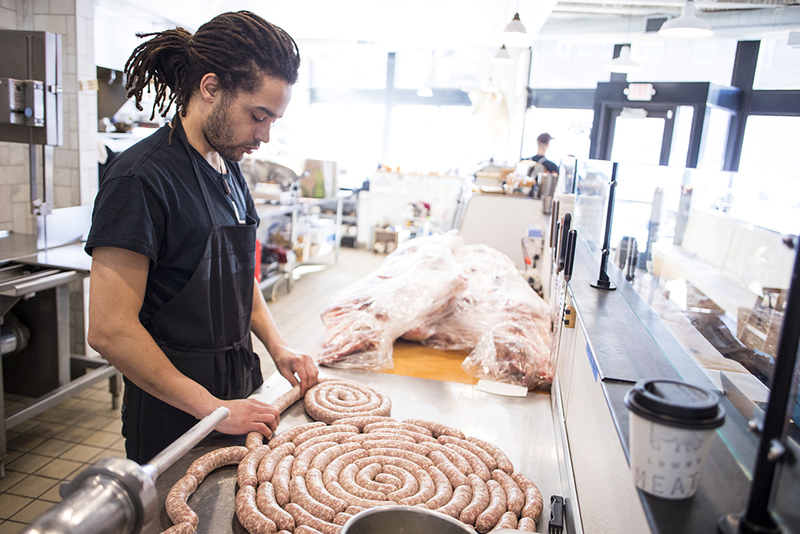 Lowry Hill’s case carries all the standard cuts of meat, plus their housemade goodies like cotto salami, marinated chicken breasts, and sausages. Sather brings in salumi, bacon, cheese, and other pantry items they don’t make in the shop from sources he and his team respect and that they enjoy cooking with. All in all, it’s not a ton of meat, but he hopes the case is more approachable than the wall of meat you find at the supermarket—perhaps more so because the butchers are always on hand. 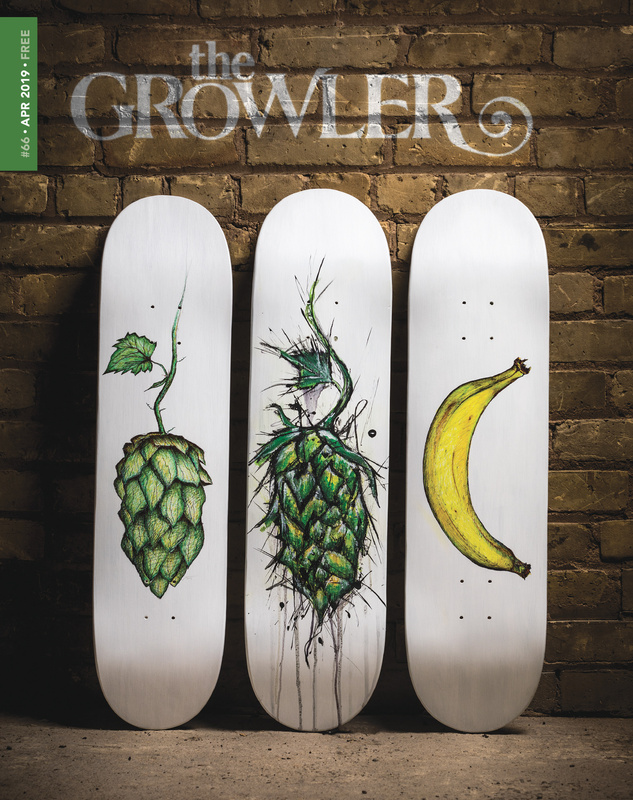 Four years in, Sather says the shop is working out. In addition to the meat and sandwiches, they offer hog butchering and sausage-making classes, and the shop’s shelves are full of meat accouterments: mustards, housemade pickles, hot sauce, dry pasta, Maldon salt, you name it—all of which has helped to offset the high labor costs associated with old-school butchery. 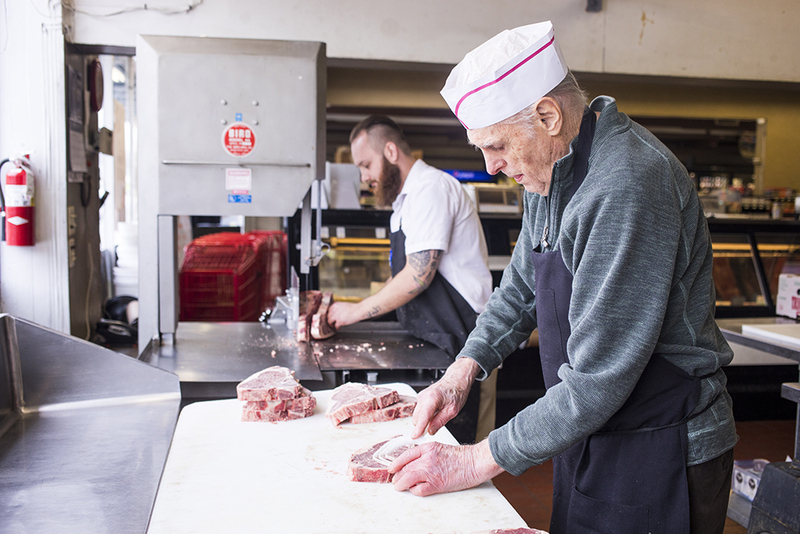 The heart of Everett’s, back then and now, is Jack Pflepsen, its long-time owner and co-head butcher, alongside Pregler. 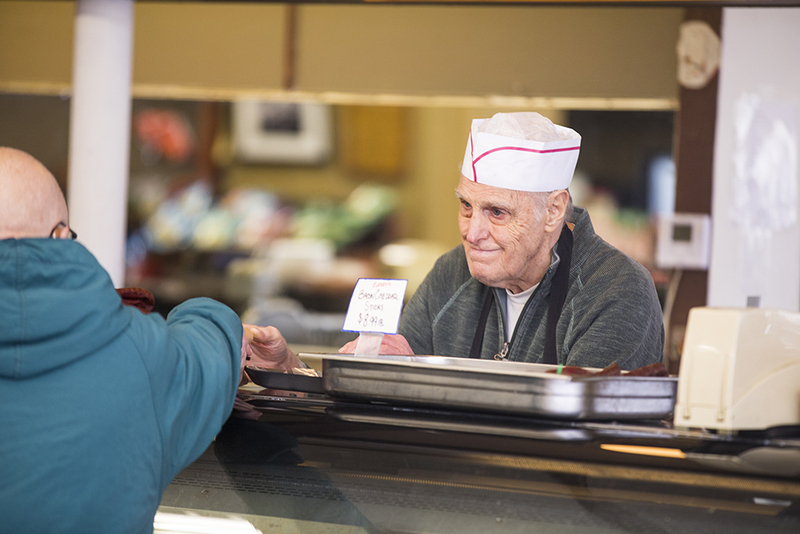 Pflepsen bought the butcher shop from its original owner back in 1956 when he was just 26 years old. His father had been a butcher, so it was something he knew how to do. 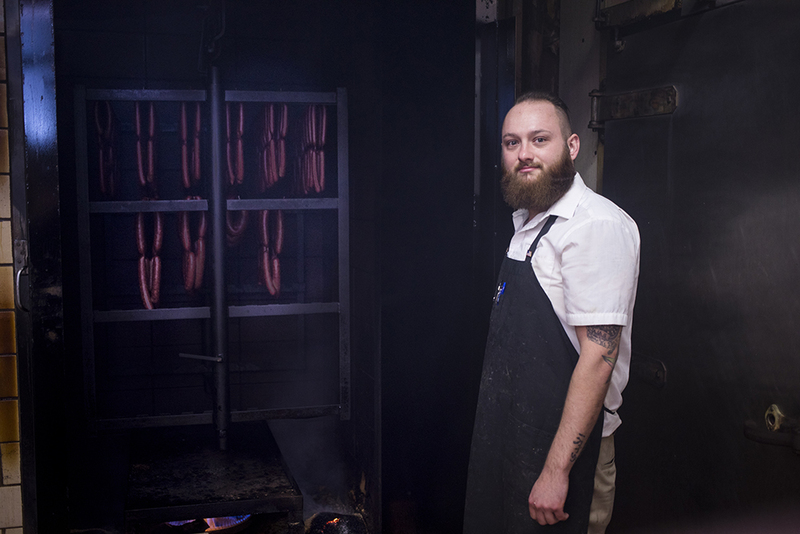 There’s a picture from those early days hanging in the shop: Pflepsen and his brothers are standing in the walk-in next to a full rail of beef sides. The three of them have on matching white shirts, bow ties, and jaunty white butcher caps. They look prosperous and happy. There’s a lot to do at Everett’s: the case is huge and packed, and though some of it comes from other producers—like the deli salads, cheeses, cured meats, and frozen fish—the butchers have a hand in the bulk of it. 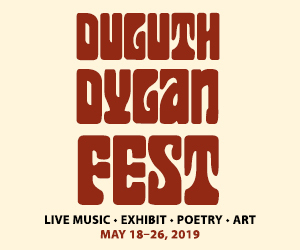 Other popular items include the shop’s housemade ground beef, bologna, meatloaf, and hilariously giant Renaissance Festival–style turkey legs. And, of course, anything that comes out of the shop’s two smokehouses, which are the size of bank vaults. Pregler opened one while we were there and a blast of heat rolled over us like a meat sauna, redolent with smoky sweet bacon, beef jerky, and sausages.